Banks are classified either into commercial banks or as central bank. They are also classified as Scheduled and Non-scheduled Banks. The article Types of Banks presents the different types of banks in India. Banks are classified into scheduled and non-scheduled banks. Scheduled banks can further be classified into commercial banks and cooperative banks. Commercial Banks can be further classified into public sector banks, private sector banks, foreign banks and Regional Rural Banks (RRB). On the other hand, cooperative banks are classified into urban and rural. 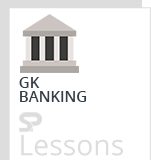 Apart from these, a fairly new addition to the structure is payments bank. Banks were classified as scheduled banks and non-scheduled banks. Scheduled Banks in India constitute those banks which have been included in the Second Schedule of Reserve Bank of India(RBI) Act, 1934. RBI in turn includes only those banks in this schedule which satisfy the criteria laid down vide section 42 (6) (a) of the Act. The banks included in this schedule list should fulfill two conditions. 1. The paid capital and collected funds of a bank should not be less than Rs. 5 lac. Every Scheduled bank enjoys the following facilitiess. 2. Such bank automatically acquire the membership of clearing house. These are the banks which are doing the banking business, i.e. dealing with general public, accepting deposits from making loans to large numbers of households and firms. 3. Catholic Syrian Bank Ltd.
4. Citi Union Bank Ltd.
5. Development Credit Bank Ltd.
12. Jammu & Kashmir Bank Ltd.
14. Karur Vysya Bank Ltd.
15. Kotak Mahindra Bank Ltd.
16. Lakshmi Vilas Bank Ltd.
19. South Indian Bank Ltd.
20. Tamilnad Mercantile Bank Ltd.
1. Coastal Local Area Bank Ltd.
2. Krishna Bhima Samruddhi Local Are Bank Ltd.
3. Subhadra Local Area Bank Ltd.
1. AU Small Finance Bank Ltd.
2. Capital Small Finance Bank Ltd.
3. Equitas Small Finance Bank Ltd.
4. ESAF Small Finance Bank Ltd.
5. Fincare Small Finance Bank Ltd.
6. Jana Small Finance Bank Ltd.
7. North East Small Finance Bank Ltd.
8. Suryoday Small Finance Bank Ltd.
9. Ujjivan Small Finance Bank Ltd.
10. Utkarsh Small Finance Bank Ltd.
1. Aditya Birla Idea Payments Bank Ltd.
2. Airtel Payments Banks Ltd.
3. Fino Payments Bank Ltd.
4. India Post Payments Bank Ltd.
5. Jio Payments Bank Ltd.
6. PayTm Payments Bank Ltd.
3. American Express Banking Corp.
4. Australia and New Zealand Banking Group Ltd.
12. Cooperatieve Centrale Raiffeisen-Boerenleen Bank B.A. 15. CTBC Bank Co. Ltd.
21. First Rand Bank Ltd.
23. Industrial and Commercial Bank of China Ltd.
25. JPMorgan Chase Bank N.A. 28. Krung Thai Bank Public Co. Ltd.
30. Mizuho Corporate Bank Ltd.
40. State Bank Of Mauritius Ltd.
42. The Bank Of Tokyo-Mitsubishi UFJ, Ltd.
43. United Overseas Bank Ltd.
1. Andhra Pradesh State Co-operative Bank Ltd.
2. The Bihar State Co-operative Bank Ltd.
4. The Goa State Co-operative Bank Ltd.
5. The Gujarat State Co-operative Bank Ltd.
6. Haryana Rajya Sahakari Bank Ltd.
7. Himachal Pradesh State Co-operative Bank Ltd.
8. Karnataka State Co-operative Apex Bank Ltd.
9. Kerala State Co-operative Bank Ltd.
11. The Maharashtra State Co-operative Bank Ltd.
12. The Orissa State Co-operative Bank Ltd.
13. Pondicherry State Co-operative Bank Ltd.
14. Punjab State Co-operative Bank Ltd.
15. The Rajasthan State Co-operative Bank Ltd.
16. Tamil Nadu State Apex Co-operative Bank Ltd.
17. Telangana State Cooperative Apex Bank Ltd.
18. The Uttar Pradesh Co-operative Bank Ltd.
19. Uttarakhand State Co-operative Bank Ltd.
20. West Bengal State Co-operative Bank Ltd.
1. Abhyudaya Co-operative Bank Ltd.
2. Ahmedabad Mercantile Co-Op Bank Ltd.
3. Amanath Co-operative Bank Ltd.
4. Andhra Pradesh Mahesh Co-Op Urban Bank Ltd.
5. Apna Sahakari Bank Ltd.
6. Bassein Catholic Co-operative Bank Ltd.
7. Bharat Co-operative Bank (Mumbai) Ltd.
8. Bharati Sahakari Bank Limited. 10. Citizen Credit Co-operative Bank Ltd.
12. Dombivli Nagari Sahakari Bank Ltd.
13. Goa Urban Co-operative Bank Limited. 14. Gopinath Patil Parsik Janata Sahakari Bank Ltd.
16. GS Mahanagar Co-operative Bank Ltd.
17. Indian Mercantile Co-operative Bank Ltd.
18. Jalgaon Janata Sahakari Bank Ltd.
19. Jalgaon People’s Co-operative Bank Ltd.
20. Janakalyan Sahakari Bank Ltd.
21. Janalaxmi Co-operative Bank Ltd.
22. Janata Sahakari Bank Ltd.
23. Kallappanna Awade Ichalkaranji Janata Sahakari Bank Ltd.
24. Kalupur Commercial Coop.Bank Ltd.
25. Kalyan Janata Sahakari Bank Ltd.
26. Kapol Co-operative Bank Ltd.
27. Karad Urban Co-operative Bank Ltd.
28. Mapusa Urban Co-operative Bank of Goa Ltd.
29. Mehsana Urban Co-Op Bank Ltd.
30. Nagar Urban Co-operative Bank Ltd.
31. Nagpur Nagrik Sahakari Bank Ltd.
32. Nasik Merchant’s Co-operative Bank Ltd.
33. New India Co-operative Bank Ltd.
34. NKGSB Co-operative Bank Ltd.
35. Nutan Nagarik Sahakari Bank Ltd.
36. Pravara Sahakari Bank Ltd.
37. Punjab & Maharashtra Co-operative Bank Ltd.
38. Rajarambapu Sahakari Bank Ltd.
39. Rajkot Nagrik Sahakari Bank Ltd.
40. Rupee Co-operative Bank Ltd.
41. Sangli Urban Co-operative Bank Ltd.
42. Saraswat Co-operative Bank Ltd.
43. Sardar Bhiladwala Pardi Peoples Coop Bank Ltd.
44. Shamrao Vithal Co-operative Bank Ltd.
45. Shikshak Sahakari Bank Ltd.
46. Solapur Janata Sahakari Bank Ltd.
47. Surat Peoples Coop Bank Ltd.
48. Thane Bharat Sahakari Bank Ltd.
49. The Akola Janata Commercial Co-operative Bank Ltd.
50. The Akola Urban Co-operative Bank Ltd.
51. The Khamgaon Urban Co-operative Bank Ltd.
52. TJSB Sahakari Bank Ltd.
53. Vasai Vikas Sahakari Bank Ltd.
54. Zoroastrian Co-operative Bank Ltd.
1. Andaman and Nicobar State Co-operative Bank Ltd.
2. Arunachal State Co-operative Apex Bank Ltd.
3. Assam Co-operative Apex Bank Ltd.
4. Chandigarh State Co-operative Bank Ltd.
5. Delhi State Cooperative Bank Ltd.
6. Jammu and Kashmir State Co-operative Bank Ltd.
7. Jharkhand State Cooperative Bank Ltd.
8. Manipur State Co-operative Bank Ltd.
9. Meghalaya Co-operative Apex Bank Ltd.
10. Mizoram Co-operative Apex Bank Ltd.
11. Nagaland State Co-operative Bank Ltd.
12. Sikkim State Co-operative Bank Ltd.
13. Tripura State Co-operative Bank Ltd.